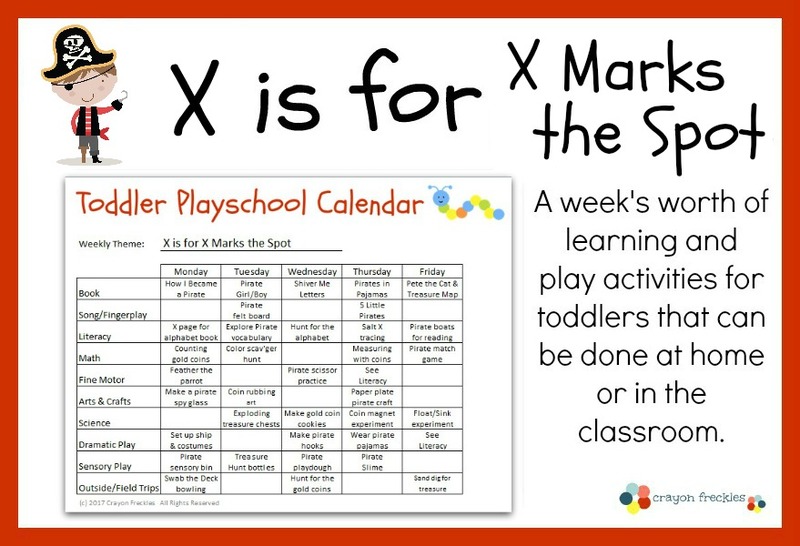 We're getting close to ending our weekly journey through the alphabet in our Toddler Playschool. 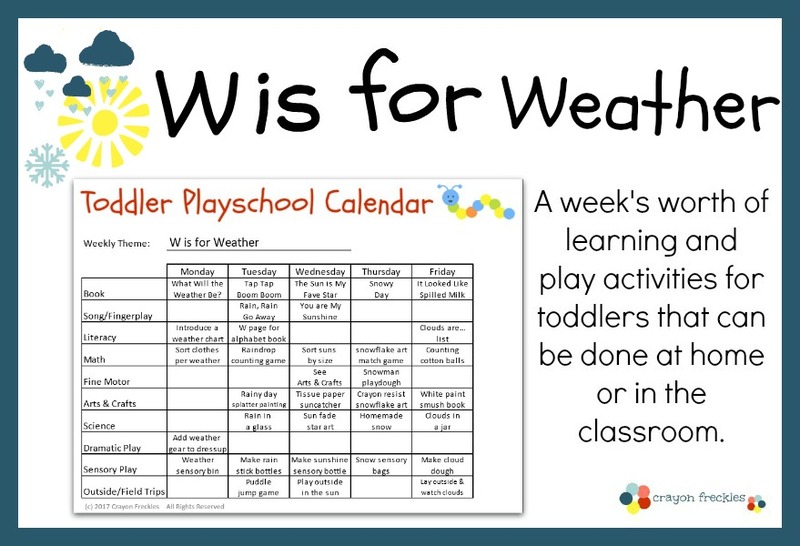 Because we live in the Midwest and get a variety of the seasons (sometimes two in one week), it seemed like weather would be a suitable and interesting topic for the W week. 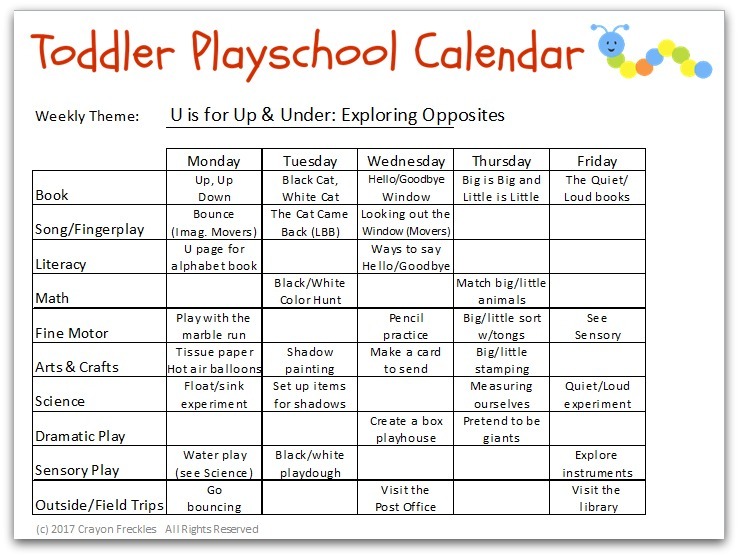 It provides so many learning prompts that are different, yet connected for young learners to explore. 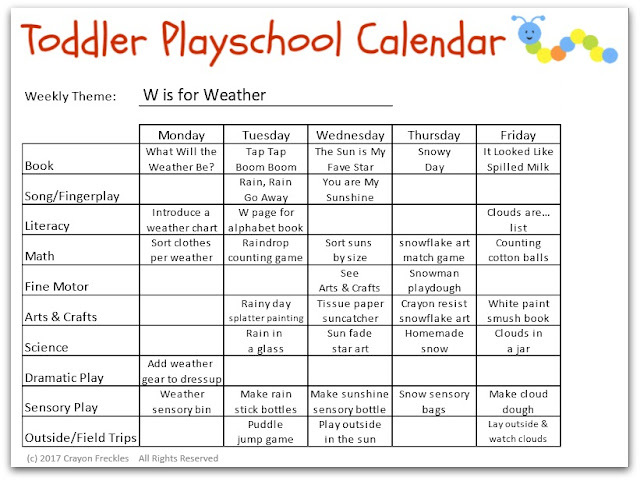 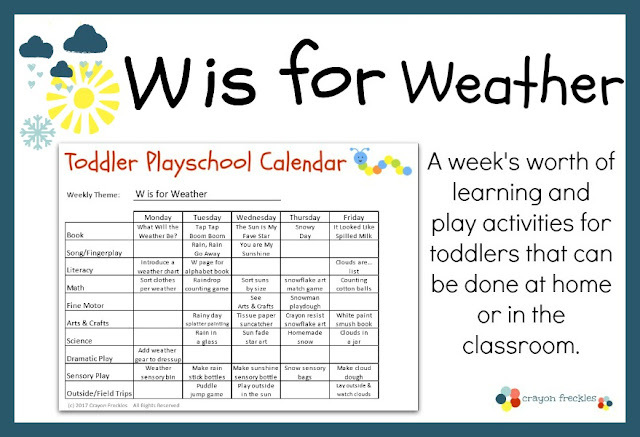 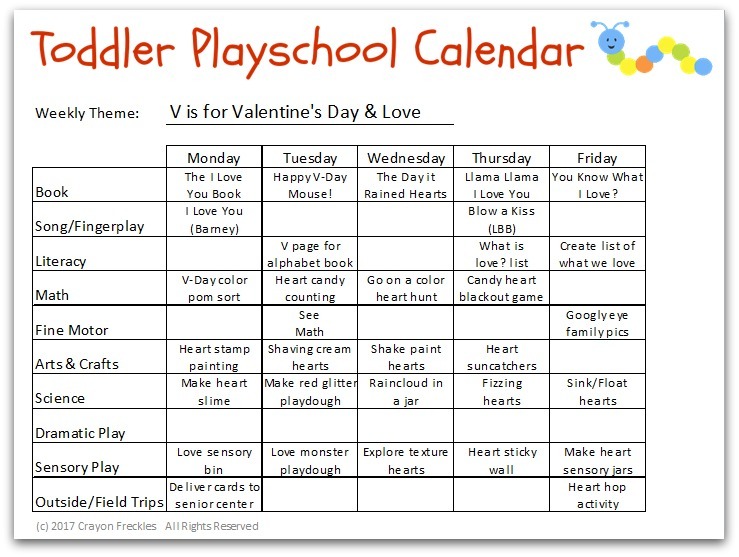 Check out our weather activities for toddlers and our free letter W lesson plan printable below. The clouds are passing by.